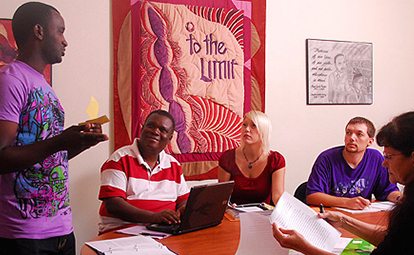 Human Relations & Multicultural Education (HURL) is an interdisciplinary field committed to addressing questions of equity, self-determination, resource allocation and quality of life facing people around the world. The department provides education in self-awareness and skills essential for living and working in a democratic, environmentally sustainable, and socially just society. Our students are passionate about various issues, including oppression and social justice related to race, gender, age, class, religion, disability, physical appearance, sexual orientation and nationality/culture.